Investing in the wellness of employees has a ripple effect on the entire company. Any time an organization makes a smart investment in their employees, that investment will come right back. Wellness programs are quickly being proven to be one of the most important tools that companies can offer employees. The physical and mental health of employees is of obvious importance. With health declining and associated costs on the rise, wellness programs are quickly taking center stage. According to a MediFit.com infographic, workplace wellness interventions cost employers $144 per employee each year. So yes, there is a cost associated, but the return on investment speaks for itself. Workplace wellness interventions reduced health costs at a rate of $358 per employee, per year. It turns out, wellness programs matter. Let’s face it, we’re steadily getting unhealthier as a nation and health care costs are on the rise. The proof is in the numbers. In an annual employee wellness survey we see that the average annual health insurance premium for family coverage has doubled in the 10 years from 2001 to 2011 to $15,073. By 2011, employers were eating 60 percent of the total cost of health insurance plans for their employees. Incentives seem to be the way to go. Healthcare professionals have nailed down obesity and smoking as the two primary targets of successful wellness programs. Companies are now offering discounted health-care premiums to non-smokers. These companies have even taken to giving their employees tobacco screenings to ensure that workers aren’t fibbing to receive the much desired discount on health care. Similar discounts are also offered to employees taking part in weight loss programs. What can be seen as incentives to those being given the discounts sound more like penalties to those who aren’t receiving such discounts. Smokers and overweight employees alike are being charged higher health-care premiums than their non-smoker/leaner counterparts, and they aren’t happy about it. A big brother spin is being placed on these “incentives”. Dr. Michael Siegel, a public health specialist, wonders about where actions like these can lead. Darned if they do, darned if they don’t. Rising health-care costs are costing companies in a big way, and employees are in turn losing their pay hikes to the associated costs. Wellness programs are the obvious solution, but we haven’t yet found the best course of action. 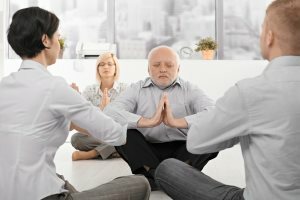 Is there a sensible and effective way to implement wellness programs that everyone will be happy with? What do you think?